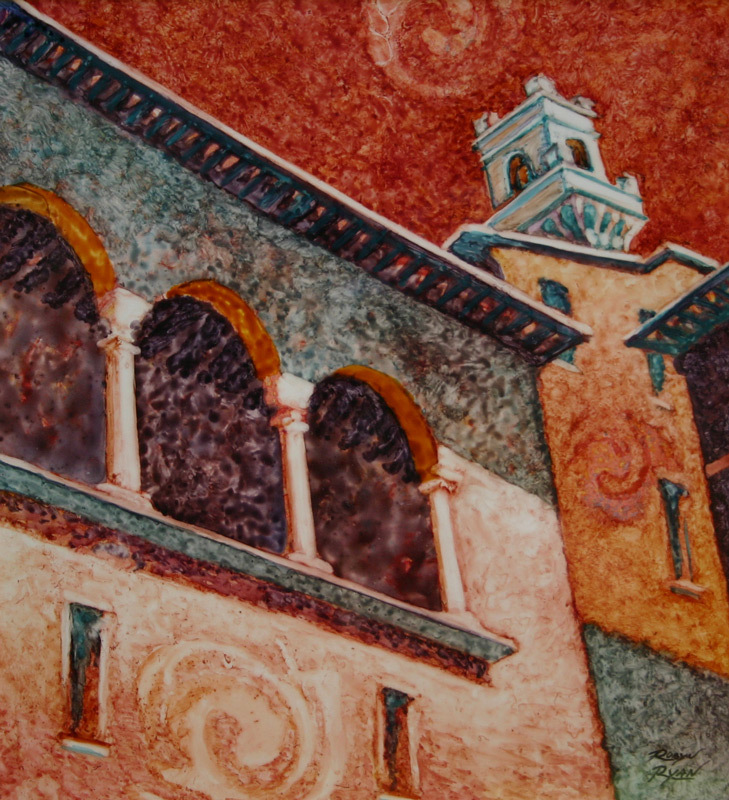 Watercolor painting of old building with arches and the clock tower in Montelpuciano, Italy. This was an amusing visit since they were filming the first Twighlight movie on location. The town was decked out with red flags and bunting, and Robert Pattenson and Kristen Stewart groupies were everywhere!